When we were planning this recent visit to be with family in Chicago, we knew there would be numerous things to see and do, so timing our visit to coincide with some of them was essential. We organized this to include a road-trip to architectural sites that we had wanted to see for a long time, so Chicago would bookend those experiences. We were lucky to be in the city once again when there was too much to see and do in a relatively short visit; it is sometimes a challenge to choose what to see, but we are fortunate to have culturally active and inquisitive family and friends. The art writer/curator Susan Snodgrass steers us to see the must-see shows when we visit, and it is always enriching to experience some of these with her. 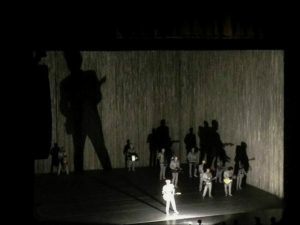 When tickets for the David Byrne American Utopia tour went on sale and we succeeded in getting them, our initial time frame was set. 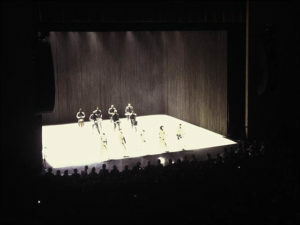 We had seen David Byrne a couple years ago with St. Vincent when they performed at Ravinia. Not only was that a fantastic concert and performance by all involved, he rocked, keeping up with and challenging the others to maintain his level. He rocked, he rolled, and sweated that summer night, lighting up the stage, all the while never slowing down nor missing a beat. Having seen a couple of his other presentations and with memories of that performance, we looked forward to seeing this new work, in this venue, the historic Auditorium Theater, where so many legendary concerts have taken place. 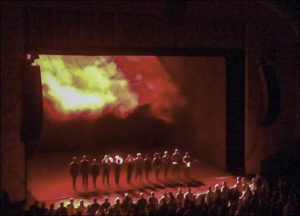 This concert went beyond expectations – it presents a contemporary event featuring music, light, costume and set design, dance and performance. And once again, not a missed beat; it was an inspiring event, and one I’d recommend to anyone if the tour is scheduled anywhere near where you live. There are many favorable reviews accessible that address this current tour. 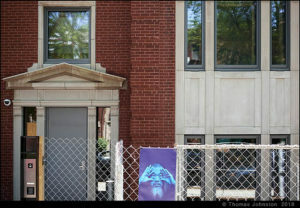 We also knew that Ai Weiwei’s Trace in Chicago was on view during this time. I had downloaded Human Flow on my screen to view on the flight and help set the stage to see Trace, which was on view through early July. 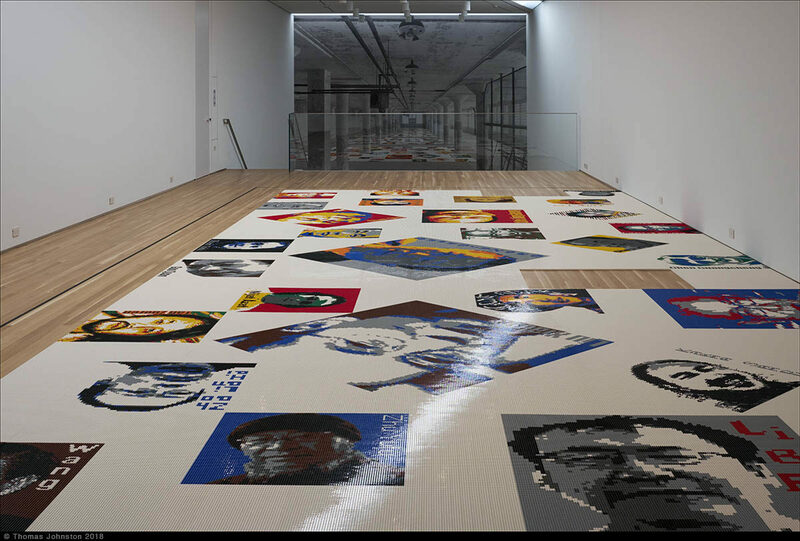 For Trace, Ai Weiwei created dozens of Lego portraits of socially minded, international political dissidents and prisoners of conscience; these portraits were part of the 2014 exhibition/installation Trace at Alcatraz organized by Cheryl Haines in San Francisco, with FOR-SITE Foundation and the U.S. National Park Service. To read about the lives of the people portrayed, see FOR-SITE. An added bonus to this installation was seeing the first exhibition in the new space of Alphawood Exhibitions. Behind the older, original townhome façade is something very special, a contemporary architectural experience worthy of a visit in its own right. Any excuse to see this new space is worth a visit even if empty, if one could arrange such a visit. Their next exhibition featuring architecture will formally call attention to this beautiful – extraordinary – space. But wait, there’s more… but I’m going to leave it here and post a few images of these shows; my next post will start with the second week back in the city when we did more galleries and art centers, the book fair and blues festival. Thanks for looking in and for your kind words. You too are missed, by many, and we know the importance of following your heart; We know there will be visits in the future.